A Resourceful Home .com: Garden Update - It's not too late! Just a quick garden update. 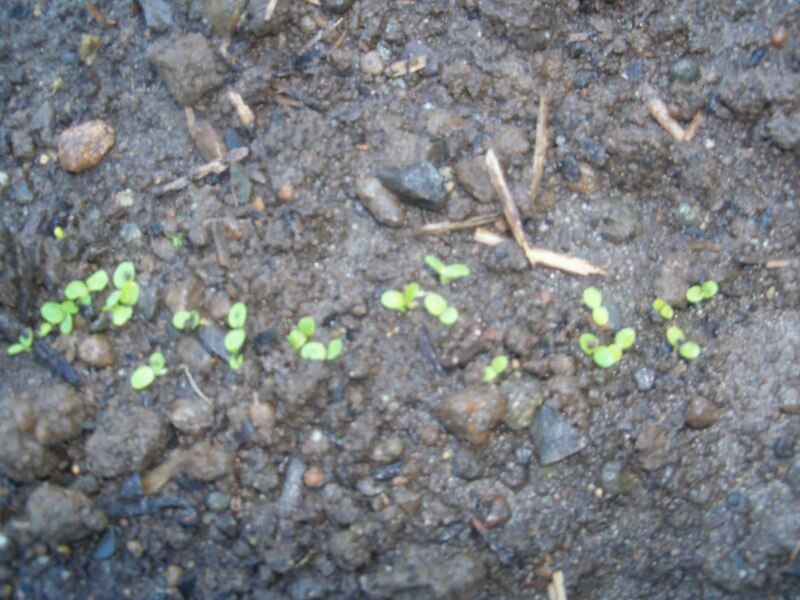 I want to encourage you to go ahead and plant something if you have been thinking about it. It's not too late! This is romaine lettuce after only 5 1/2 days of growth. 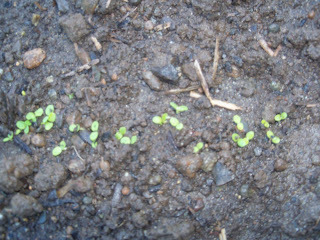 It should grow well and be ready to pick by the second week of August & I'll be able to keep picking it for 6-8 weeks! 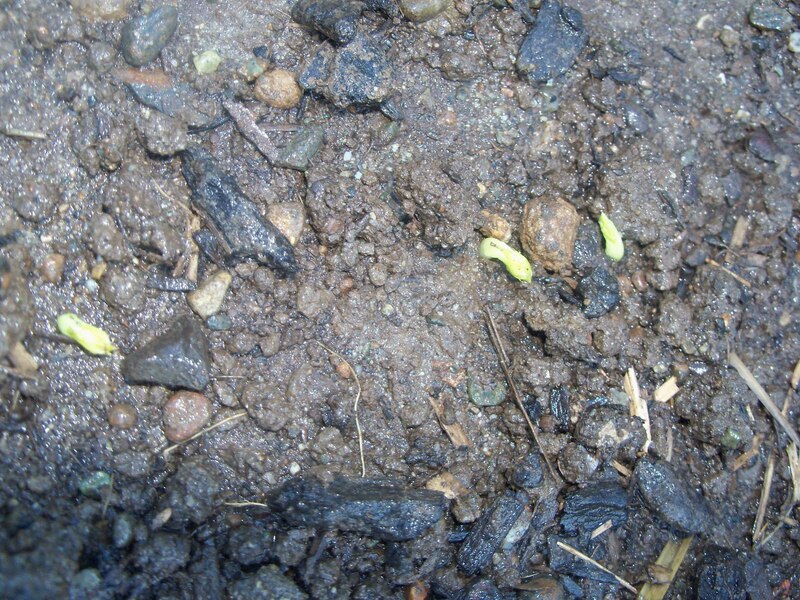 These are Sugar Snap Peas also after only 5 1/2 days of growth. 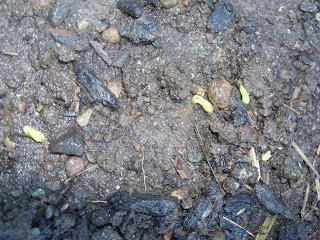 They have sprouted nicely despite the not-too-fine soil, and they also will be ready to pick by mid-August and harvest for about a month. 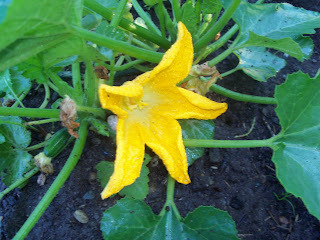 Here's a pretty zucchini blossom I just had to photograph. Can't wait for zucchini bread! Finally! 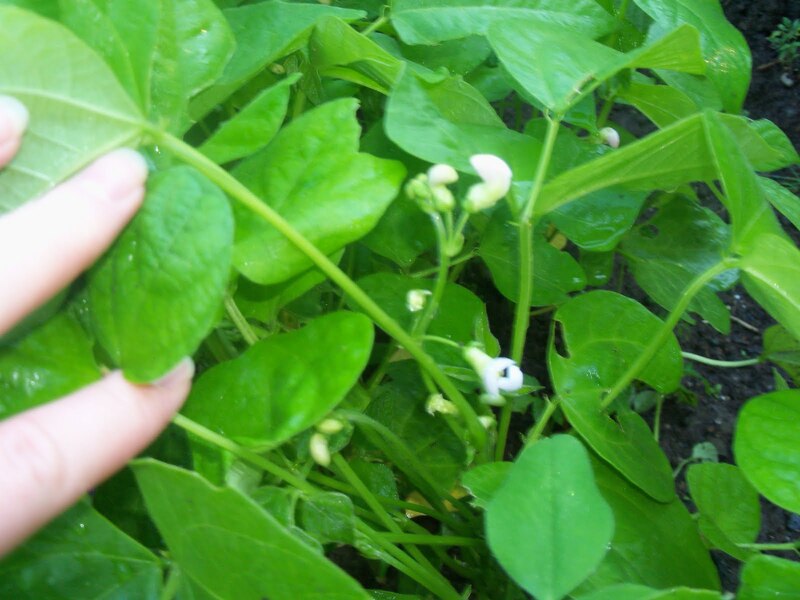 The bush beans have blossoms, but no visible veggies yet. I'm hoping to can green beans, so I would love for these to be fruitful plants. More on the garden next week!